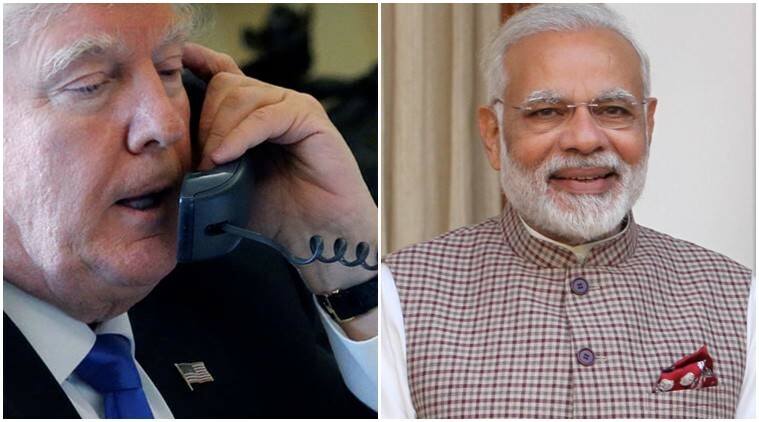 Washington(PTI): President Donald Trump spoke over phone with Prime Minister Narendra Modi during which the two leaders expressed satisfaction over the recently concluded Global Entrepreneurship Summit co-hosted by the US and India last month in Hyderabad, the White House said today. President Trump’s daughter Ivanka, who is also his senior advisor, had led the US delegation at the three-day event. Trump spoke to Modi yesterday over phone. “The leaders expressed satisfaction with the recent Global Entrepreneurship Summit (GES), co-hosted by the United States and India, which brought together entrepreneurs and investors from around the world, including 38 US states, the District of Colombia, and Puerto Rico,” the White House said in a brief readout of the call. This year’s summit focused on supporting women entrepreneurs and fostering economic growth globally. “For all of our progress, gender divides on access to technology, nutrition, and health, preventing women, their families, and their communities from reaching their full potential,” State Department Spokesperson Heather Nauert said on Thursday.